Gold prices moved higher in Asia hours on Monday following a series of missiles launches from North Korea and a downbeat growth estimation in China. According to the South Korean military authorities, its neighbour launched few missiles around the east coast and that flew nearly 1,000 kilometers off it. Increasing tension between countries is considered a positive factor for gold prices. 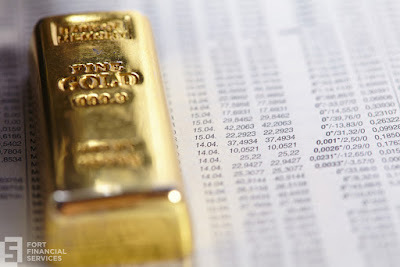 On the Comex division of the New York Mercantile Exchange, gold for April delivery was up 0.55 percent to trade at $1233.20 a troy ounce as of 06:25 GMT. China's Premier Li Keqiang said during the weekend that the world’s second-largest economy is expected to grow 6.5 percent in 2017, marking a downshift from a previous year 6.7 percent. The leader also said that the consumer price index is hopefully remaining under 3 percent this year, without changes from last year. Ahead this week, market players will pay close attention to a new gathering of the European Central Bank, which would probably provide some insights on the future of its stimulus program. Meanwhile, expectations regarding a Federal Reserve hike in March continue to pressure gold prices. Fed Chair Janet Yellen said on Friday that increasing benchmark rates "would likely be appropriate" if the economy maintains a strong performance in employment and inflation. On Friday, the Bureau of Labor Statistics will release its latest reading on nonfarm employment. At this stage, traders are weighing in a 80 percent chance of a March 15 hike. Oil prices were lower in Asian session on Monday as market players awaited a meeting of energy industry leaders in Houston, United States, later this week. US West Texas Intermediate oil futures traded at $53.02 a barrel on the New York Mercantile Exchange, down 0.58 percent from its previous settlement. The London-based Brent crude oil futures eased 0.52 percent to trade at $55.61 a barrel as of 06:50 GMT. Russian Energy Minister Alexander Novak and its Saudi counterpart Khalid Al-Falih are set to join a long list of energy sector guests at the annual CERAWeek Conference in Texas. The meeting is expected to provide some further understanding on whether the Saudi-led OPEC and independent producers like Russia are willing to extend its output cut program in July. Also, traders want to receive fresh information on compliance, after Reuters reported that Russia is falling quite short from the agreed amounts back in December 2016. Yesterday, OPEC Secretary Mohammad Sanusi Barkindo announced that this week’s conference will serve as a proper environment to discuss the future cooperation between oil cartel members and non-OPEC countries ahead of monitoring meeting scheduled on March 25. On Tuesday and Wednesday, investors will keep an eye on crude stockpiles to evaluate how US shale producers are responding to the oil group initiative. Last week, the US Energy Information Administration reported a build of 1.5 million barrels in crude inventories for the week ended February 24, moving the total reserves to record high of 520.2 million barrels. Oilfield services provider Baker Hughes said on Friday that US producers added 7 rigs to a total 609 platforms.